This afternoon we gather to celebrate in the Archdiocese of Baltimore the World Day of Consecrated Life, a celebration that is part of an entire year which our Holy Father, Pope Francis, has dedicated to consecrated life. Perhaps a word of explanation might be helpful for those of you in the Basilica this afternoon who are not in consecrated life. The phrase “consecrated life” describes the vocation of women and men in the Church who have heard and answered the call to follow Christ more closely by professing the evangelical counsels or vows of chastity, poverty, and obedience, and living a form of life that is recognized by the Church. This includes religious sisters, religious brothers, and religious priests. Some are engaged in ministries of direct service such as those who teach or work in health care, parishes, and social services. Others lead contemplative lives of prayer, praying constantly for the Church. The phrase “consecrated life” also includes individuals who are called to live as hermits and consecrated virgins, as well as lay women and men who bear special witness to Christ by lives vowed to consecrated celibacy, poverty, and obedience. 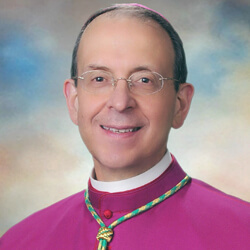 So as you can see, the word “consecrated life” is a general term that includes the many ways in which persons in the Church can be called to lead a more intense life of discipleship, not only for their own sake, but, more importantly, to inspire and encourage all of us to follow Christ more fully in the vocations of marriage, priesthood, or as a single person. Pope Francis is leading the Church in expressing the gratitude we all feel to these women and men who have dedicated their lives to God and in the process serve the Church with great generosity and joy. I wonder if we might all join together in expressing our gratitude to the men and women in consecrated life gathered here this afternoon? Thank you dear sisters and brothers for helping us to follow the Lord! All vocations are paths of discipleship and all are called to holiness. Yet as we take a second look at today’s Gospel passage from St. Mark and the interesting reading from St. Paul’s 1st Letter to the Corinthians, we can increase our appreciation for the vocation to consecrated life. Perhaps some of you, worshipping here today, will feel a call to dedicate your life to Christ in this very special and life-giving way. The Gospel passage from St. Mark focuses our minds and hearts on Jesus. Jesus is preaching in the synagogue at Capernaum. People were amazed at what they heard Jesus say. They said of him, ‘He teaches with authority and not like the scribes,’ and again, ‘What is this? A new teaching with authority.’ What did the people mean when they said this of Jesus? Did they mean that Jesus was smarter than the scribes? The scribes, of course, were learned commentators on the law of God. But the people didn’t merely say that Jesus was a more competent scribe. On the contrary, they said Jesus taught with his own authority. Perhaps the people in the synagogue didn’t know what to make of Jesus (even if the evil spirits did know who Jesus was) – but they did understand this much: he lived what he preached. They also understood that Jesus’ word was authoritative, that is, powerful. When Jesus spoke, the powers of evil took notice. By his word, Jesus commanded the evil spirit to depart from a tormented man. Jesus invaded Satan’s kingdom, over which he would triumph, amid all the tragedies of history, by his Cross and Resurrection. Yet, as Jesus’ followers we are called in various ways to exercise his authority. None of us, of course, can claim to be Jesus, the Word made flesh but all of us are called to manifest in our lives his authority over evil. And this brings us to the irreplaceable role of consecrated men and women. Religious sisters, priests, and brothers exercise authority in many ways. Religious superiors, for example, must lead and guide their communities. If you are a student at Calvert Hall, you do not doubt brother’s authority. And many religious women and men are experts in fields such as education, healthcare, pastoral care, and social services. Yet they also possess an even deeper authority, an authority of credibility, the credibility of a life that is completely dedicated to the Lord Jesus. They have made what Pope Francis calls “an exodus from self” by adopting Christ’s own self-giving love, shaped by chastity, poverty, and obedience. They have proposed a style of life that embodies the Beatitudes, to encourage everyone in the Church to follow Jesus more closely and to live the self-giving love of the Gospel more generously, so that we may be prepared to share fully in God’s self-giving love, forever in heaven. That is why the Church says that men and women in consecrated life are “in the forefront” of the Church…attracting and leading us all to make our lives a gift of joy to the Lord, to the Church, and to all those in need. When we reflect on religious life in this way, we can appreciate what St. Paul is saying to us in our second reading. He is not downgrading marriage or discouraging people from getting married so much as he is holding out for us a wonderful way of living that seeks the freedom from the cares of the world so as to pursue in a single-hearted way the Kingdom of God, which is indeed what men and women in consecrated life do. And it’s not that men and women in religious life don’t have things to worry about; I assure you they do, yet, they strive to live in such a way that the Lord’s Kingdom of Holiness and Grace takes first priority. In a few moments, the consecrated men and women present here this afternoon will renew their vows, their evangelical counsels, by which they are living proclamations of the Gospel of Jesus. As they do so, let us give thanks to God for their vocations and for the work that they do for all of us day in and day out. Let us pray with them and for them and ask the Lord to send to their communities many new vocations, so that we may never be without their irreplaceable witness to Jesus, the authority of a life consecrated totally to his love.